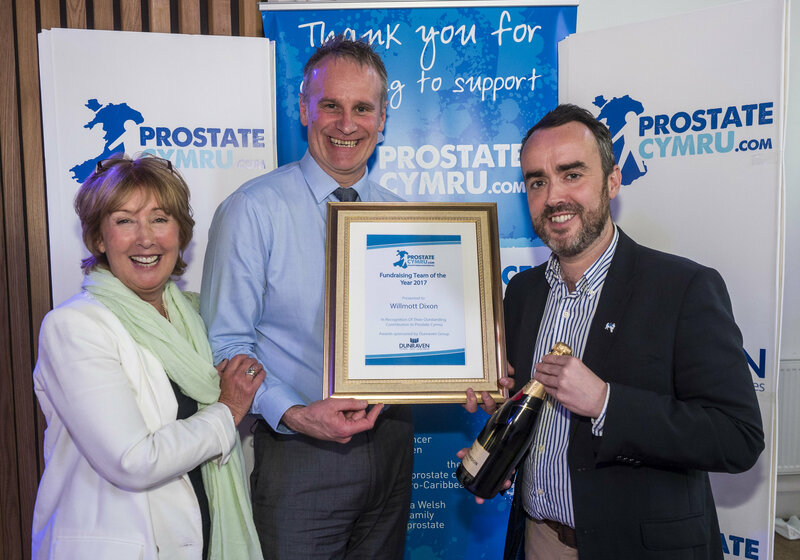 Prostate Cymru recognised the contributions of those who had fundraised for the charity in 2017 at their annual ambassadors lunch on Thursday 5th April at Cornerstone in Cardiff city centre. 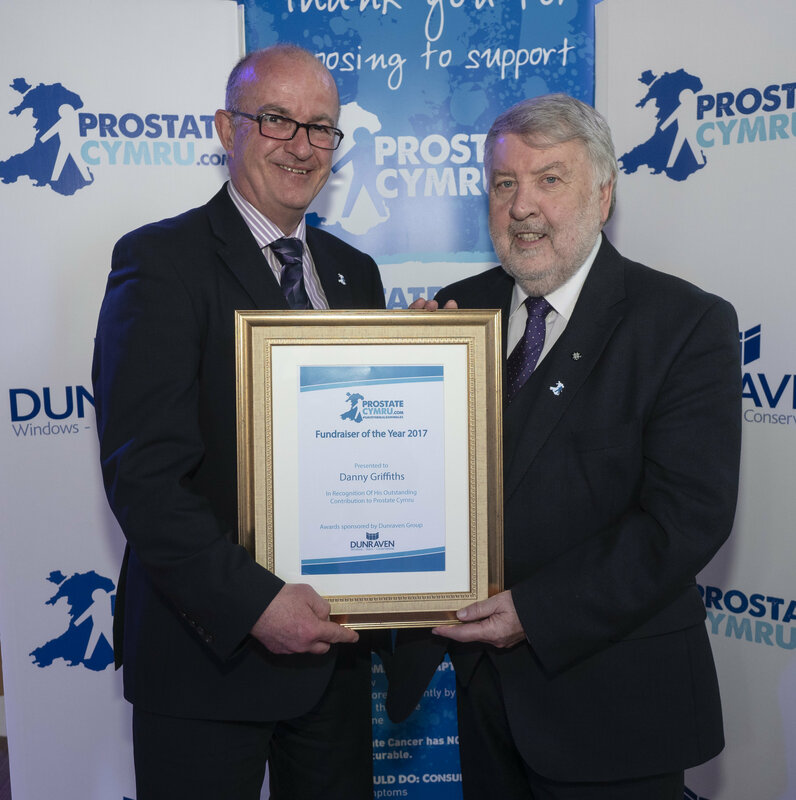 The awards ceremony was hosted by one of Prostate Cymru’s newest ambassadors weather presenter and broadcaster Chris Jones. 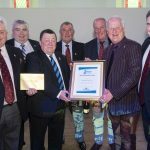 Castell Howell’s Brian Jones, broadcaster Roy Noble, Prostate Cymru’s President David Brace OBE, founder trustee Lyn Murray and ambassador Matt Murray presented the awards which were kindly sponsored by Dunraven Group. The awards categories were Young Fundraiser of the Year, Fundraising Team of the Year and Fundraiser of the Year. An additional Special Recognition award was also presented. 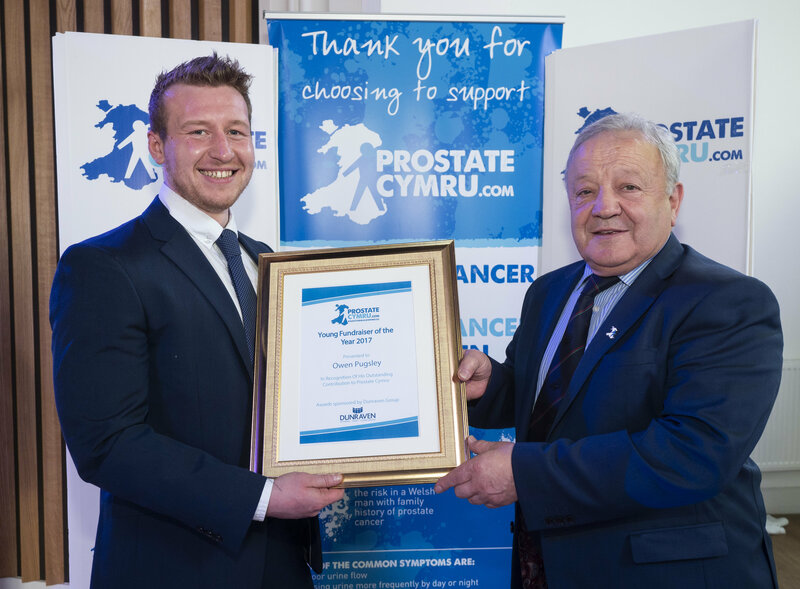 Fundraisers are increasingly choosing Prostate Cymru as their charity for a variety of events and challenges. The shortlist for the awards including a diverse range of events including rugby matches, classic car shows, obstacle races, selling calendars and other items, cycling and running challenges. Young Fundraiser of the Year was awarded to Owen Pugsley from Merthyr Tydfil. Owen took part in The Big Walk, The Five Valleys and Cardiff Half Marathon for Prostate Cymru as a way to lose weight and raise money for charity at the same time, raising a total of £383.65. Owen isn’t stopping there and has planned a number of tougher challenges in 2018 including a skydive, ultra marathons and triathlons. Fundraising Team of the Year was won by construction firm Willmott Dixon. 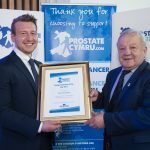 Since 2016, the company has received nineteen awareness sessions from Prostate Cymru at their sites across the country. Following this awareness partnership, the company decided to fundraise for the charity. A team of eight from the Eastern High site in Cardiff completed the Chepstow Stampede 10K obstacle race while a team of twelve from sites across Wales joined together to take part in Cyclone 24, an endurance cycling event held at Newport Velodrome involving 24 hours of continuous relay cycling. Overall, the company raised an incredible £8598.72 for Prostate Cymru. Fundraiser of the Year was presented to Danny Griffiths who held twelve events in twelve months to mark his 60th birthday. Danny chose to support the charity following his father’s prostate cancer diagnosis. Danny completed a dryathlon (a month without drinking alcohol), a 5K run, Cardiff Half Marathon, Minchinhampton 10K, an abseil in Western Super Mare, Henley Tough Mudder, Liverpool Rock n Roll Half Marathon, a dance event in Milford Haven organised with the help of Pembrokeshire Jive and Lindy Group, Cardiff Triathlon, a zip wire in North Wales, Windsor Triathlon, Go Dad Run 5K, The Five Valleys Sportive and Cardiff Half Marathon 2017. Danny also received donations to his JustGiving page in lieu of birthday presents bringing his fundraising total to £5370.81. 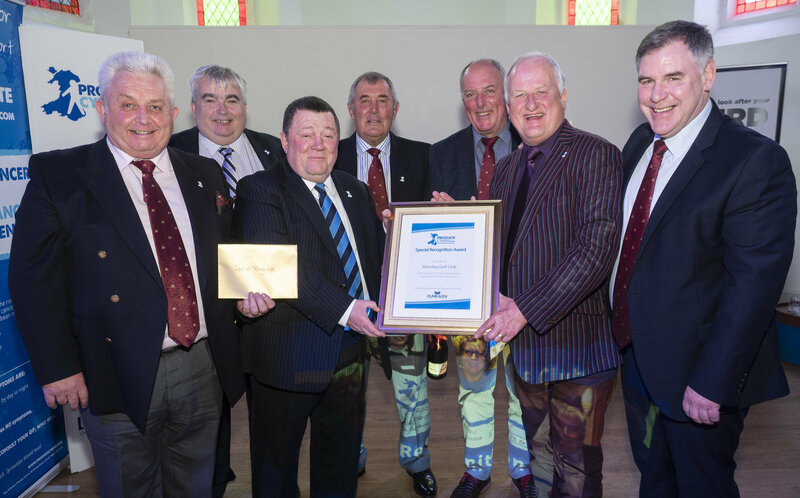 Following the main three awards, a Special Recognition award was presented to Maesteg Golf Club from Bridgend. The club hold annual charity golf days for Prostate Cymru and have raised around £13,000 for the charity over the last four years. 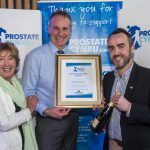 Members of the club also support Prostate Cymru by entering teams into the charity’s own golf day and volunteering at events such as The Big Walk.